I found a bug when putting timecyc's into the modloader folder. When i download any timecyc, extract the folder to my desktop and copy and paste it into the modloader folder. It does not work when playing in SA-MP. But, when i play singleplayer it works perfectly. I don't quite understand why this is happening. It's gotta be something with the timecyc's or something. Because when i put the overdose effects folder in modloader it works fine on SA-MP and Singleplayer so it's nothing to do with the data folder. I don't know. SAMP servers use their own timecyc, you can't you a custom timecyc.dat on SAMP without using an edited .exe. EDIT: Also its not a bug.. The very well known problem that happens when you replace sound effects from the original game has been "fixed"
Bug fix: ASI files linked using the Borland linker won't crash modloader anymore (Thanks to SilentPL). So, have fun with sound effects now, no more sound bugs! I never thought that such thing would be fixed. For now, I don't have plans, I'm more focused on supporting all kinds of files and improving modloader. A MVL-like vehicle addition system may (or mayn't) come on, let's say, version 1.1? The plugin saved my harddisk from img operations But seems .ide files can't be loaded, such as modloader\bsor\vegepart.ide. Or something special about loading .ide files? So wait.... Does it mean I can just throw all my dffs and txd in there are I dont have to worry about anything? Basically, yeah. And there is the .ini file for setting priorities. So if two mods have the same .txd, you could set what mod to load first, and what one to load after. Best mod like uhhm... ever? Wish I had this puppy years ago. Well, not all data files are supported at the moment, so I prob wouldn't recommend to install TC's atm either. I think the GrandCarma TC is the only officially supported one atm. The only big TC that seems to work 100% on ML for now is Grandcarma. So hm, did you move it out of the structure? No need to do so. can you make the mod will load the single line of vehicle stats configuration files (handling.cfg / carcols.dat / vehicle.ide / carmods.dat), so we don't need to find & replace the whole file. i see this mod just loads the whole stats file and find the differences and then mixing it up with the original file. whoops my bad. just tested it, really works ..
you should deserve an awards for this mod, actually this is one of best SA mods ever. I agree, you're a god. I'm surprised this hadn't achieved overnight fame in the modding community (or maybe it has and I just don't know) because this thing is a godsend. Typical behaviour for someone with your condition. Is anyone having problems like me with loading a save while playing the game. I'm using SRt3+Lod with trees, but it does crash when I want ot load a save. Ops, false alarm. They all actually work. I used someone else savegame for a minor report problem. Sorry about this. Speaking of the recent addition of audio loading, does anyone know why using the SAAT method was glitchy? Isn't this a SAAT problem at all? I said this half-year ago too. It's not a SAAT's bug, it's a feature! Unhandled exception at 0x004aa3a1 in "C:\Program Files (x86)\Steam\SteamApps\common\Grand Theft Auto San Andreas\gta_sa.exe": 0xC0000005: Access violation reading location 0x0000001b. After hours of blind testing, I still don't know the solution but I found interesting thins related to it that may lead me to the solution. I removed most Project 2DFX files from modloader and installed on the base (except for the 'put on img files' because meh) and the game didn't crash anymore. Then I put everything else back and crashed. Then I started removing asi by asi from P2DFX and it ended up working. But it doesn't matter which ASI is removed but how many ASI I removed! So I guess it is a problem with the asi loader (std-asi). I'll do more testing tomorrow. Do you have Project 2DFX? Does the crash stop when you put it on the modloader ignored list? What if you remove the asi loader (modloader/.data/plugins/std-asi.dll)? Anyway send me the entire log because it may be helpful in seeing which files the loader is working with etc. San Andreas Mod Loader is an ASI Plugin for Rockstar's Grand Theft Auto San Andreas that adds an extremely user-friendly and easy way to install and uninstall your modifications, without even messing around anything in your game installation. 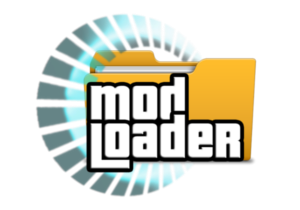 The usage is simple, you just have to create one or more folders inside modloader folder and drop the mod contents there. It is recommended to have one folder for each modification you have. Just extract a mod content, you've just installed a mod. Just delete the mod folder, you've just uninstalled a mod. Do not replace ANY original file, never, really. Data files mixing. Therefore you can for example have 70 handling.cfg files at modloader and they'll work perfectly fine. It reads readme files in search for data lines for replacement. Reloadable models. Just click new game or load game, very useful for modders.